The most rewarding part of our work comes from the Oohs! 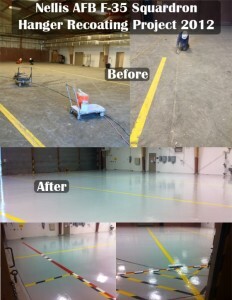 and Aahs! 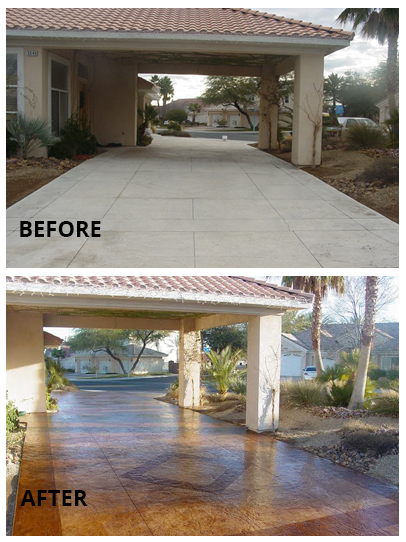 we receive from customers and neighbors as Concrete Texturing finishes another project. 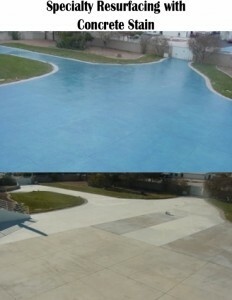 It’s often said that a picture speaks a thousand words. 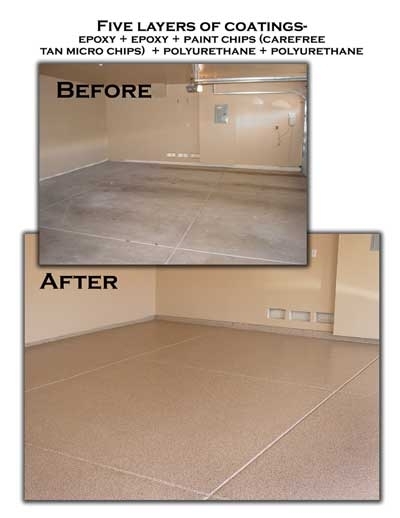 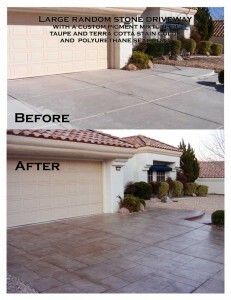 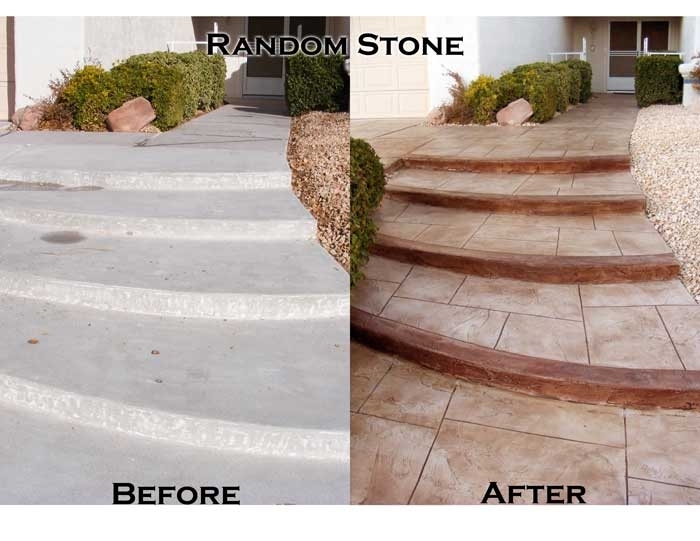 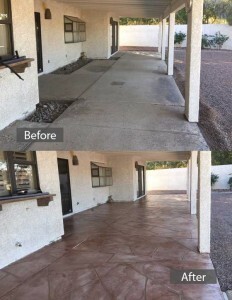 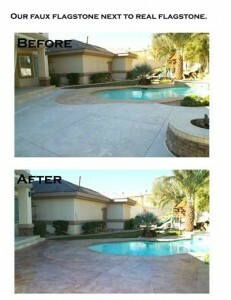 This is most definitely the case with our before-and-after pictures of restored or resurfaced concrete. 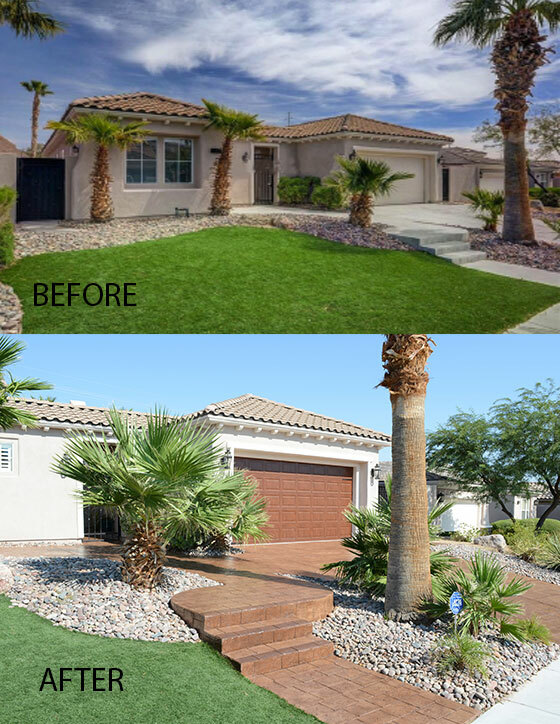 Certainly, few words are needed to describe the miraculous transformations showcased here. 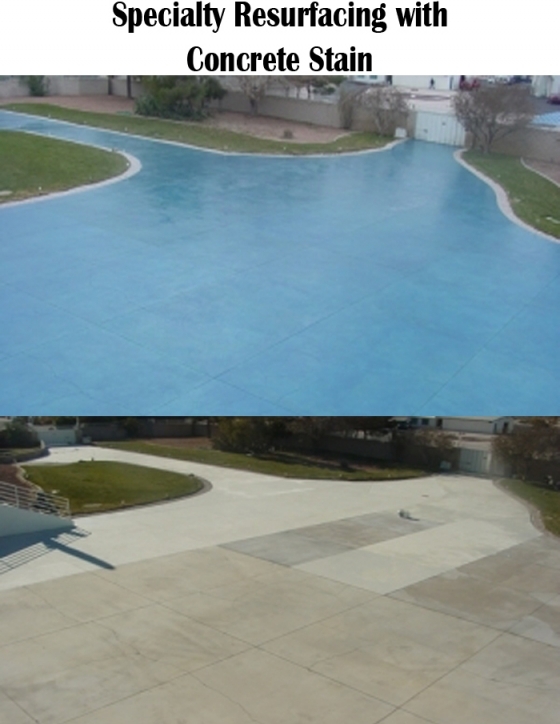 Some were accomplished by simply adding color to the existing concrete, then sealing. 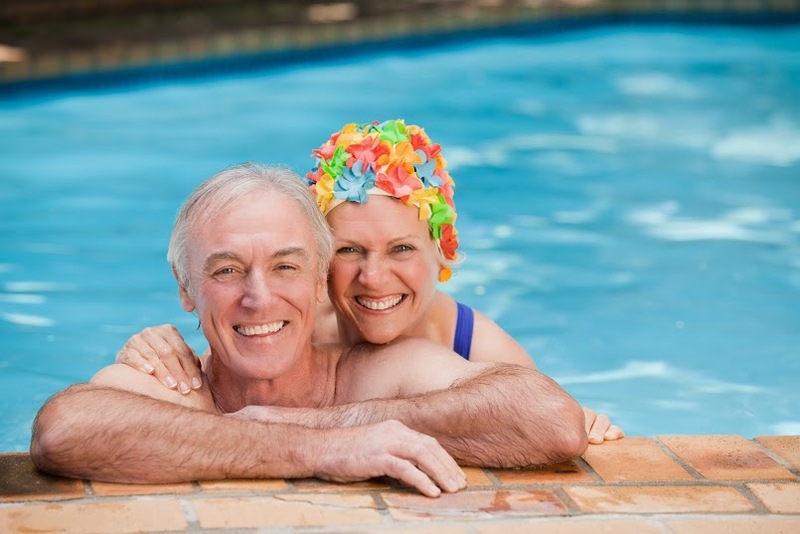 Others required more drastic measures, such as a total resurfacing or re-facing. 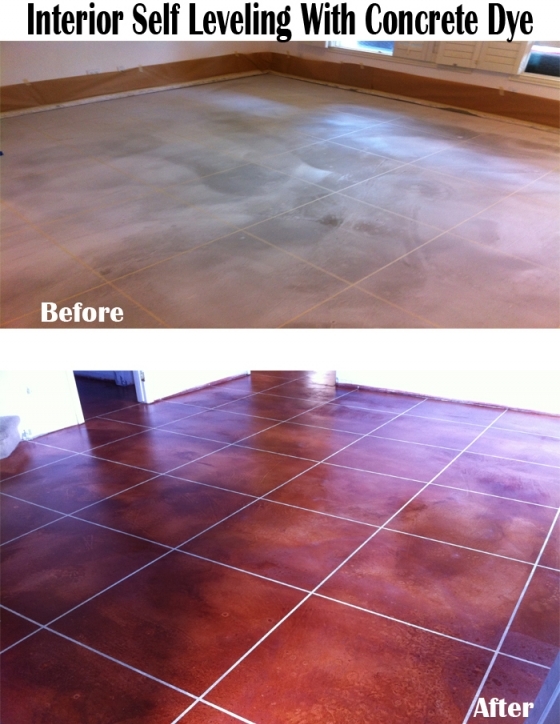 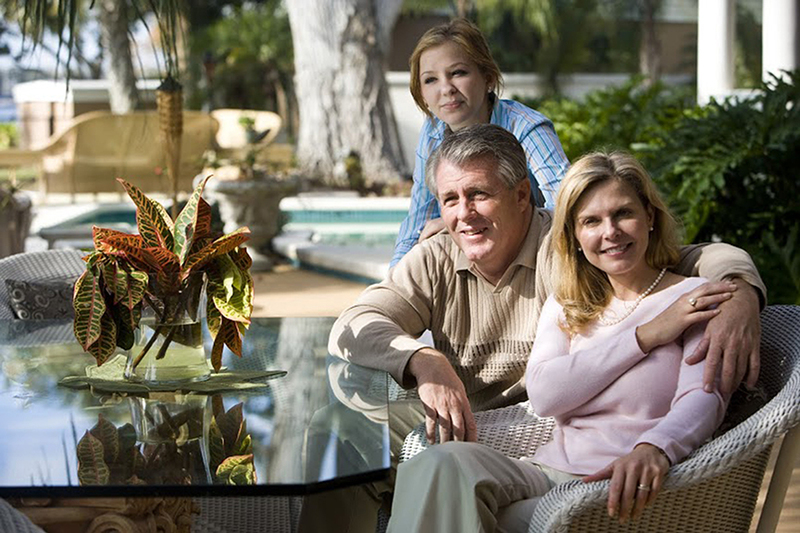 All of them prove that you can take an existing surface in nearly any condition and make it look like new again. 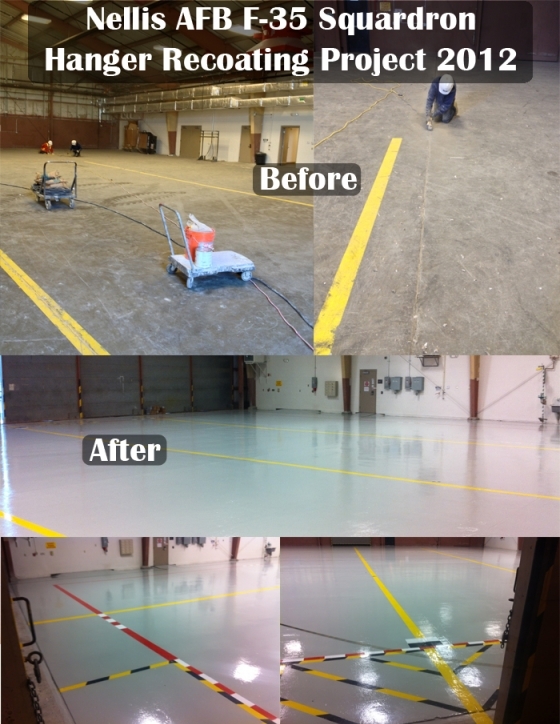 To get the full story about how each of these “after” looks was accomplished, simply click on the picture.